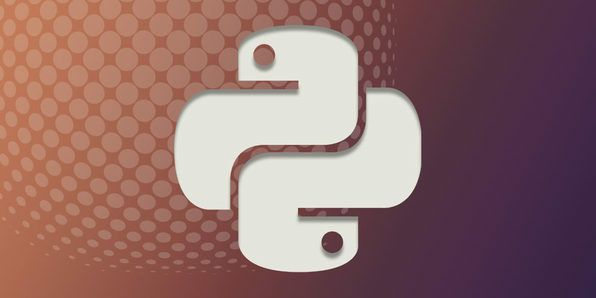 In this course, you'll solve 100 different Python assignments completely on your own, assuring that you're able to write Python code independently without someone else's help. Suitable for beginners and intermediates alike, the course progresses through different difficulty levels and helps you test your solutions and learn new things as you progress. Each exercise is scored so you'll know your Python expertise at the end. Python is widely considered one of the best first programming languages to learn because it's readable, fast, universal, and very commonly used in professional settings, including at companies like Facebook, Dropbox, and IBM. If you want to learn a language that can help you earn good money and become more employable, then check out this quick and easy course. Arkadiusz Wlodarczyk has had experience developing websites for over 14 years, and has programmed for over 10 years. Based in Poland, he is the author of 27 popular video courses about programming, web development, and math. He has also created 7 video courses in English, and has taught tens of thousands of students enrolled across all his courses. Develop a practical skill set by learning how to detect and defeat online threats in this beginner-to-advanced course. You'll build security analysis tools using Python and learn how to analyze web app security vulnerabilities and solutions using frameworks like Ruby onRails and PHP. Put your newfound Python skills to the test by applying them to a practical, very in-demand use. Mashrur Hossain has been a technology professional for over a decade and holds degrees in both Computer Science and Economics. He has worked with Enterprise Software Systems throughout his career with roles in analysis, development, and management. He is very passionate about web application development and believes Ruby on Rails has proven to be a very strong force in this field. Join him for his comprehensive Ruby on Rails Developer courses as he guides you through the world of web application development using Rails. 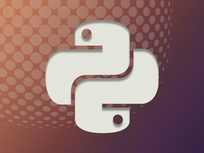 Django is an open-source web framework that is written in Python that provides the infrastructure required for database-driven websites that have user authentication, content administration, contact forms, file uploads, and more. Instead of creating all of these features from scratch, Django allows you to utilize already built components so you can focus your time on developing apps instead. If you're going to be using Python for web apps or web design, you absolutely have to learn Django to save a ton of time. This course will lead you down a path of understanding that may well result in an income boost or positive career change. It's a one-stop shop covering everything you need to start creating Python web applications that engage visitors and provide them with value. Starting with the basics of Python, you'll move onto how the internet works, before creating your first complete web apps in Python. Jose Salvatierra has been teaching computer science and playing and teaching music (grades 1 to 8) for over four years, to students of all ages and all skill levels. He started programming at the age of 10, just a couple years after he started studying music, when his dad, excited that he had showed interest in similar things to himself, taught him the basics of Marin Saric's METAL. Shortly thereafter they moved on to RealBASIC, and from there Jose started learning Java and C.
He has worked for Eseye, an M2M company, as an intern doing mainly backend developing, writing PHP scripts and programming Zenoss ZenPacks, and currently works for Skyscanner, one of Scotland's largest technology companies, programming mainly in Python and web languages.